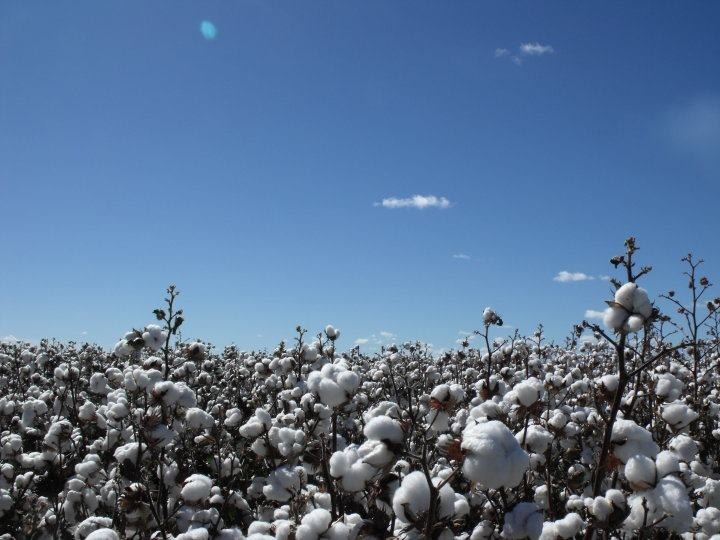 Liz Munn brings us today’s guest blog which takes us on an 800km journey that begins and ends with cotton. 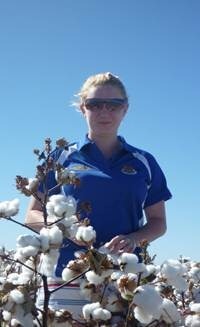 The 21 year old technical officer with the DPI lives by the motto “You can only take out what you put in” and believes the more people show their confidence and enthusiasm for the cotton industry, the more it will become contagious! 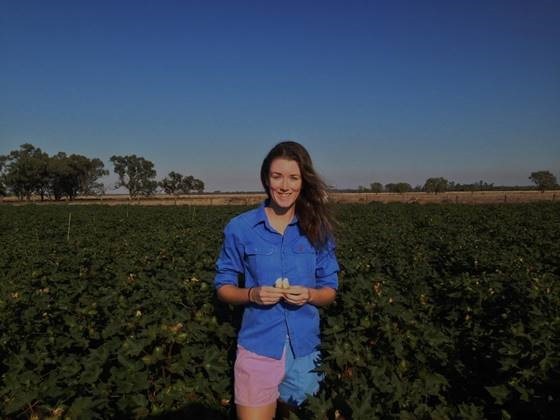 My name is Liz Munn, I am 21 years old and I’ve just moved 800km across the state to work in the field I love – cotton! 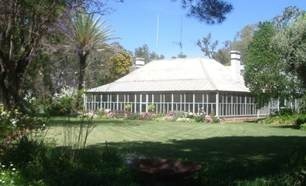 Home for me is the rural community of Moree in the North West Slopes and Plains of NSW. It’s the centre of a large agricultural area, known for the rich black vertosol soils which allow crops such as cotton to thrive and is also renowned for its natural hot springs. In the past few years the community has been brought together in crises of major flooding, fires and drought, but the people always manage to come out stronger. At the Sydney Royal Easter Show, about to accept the Coca-Cola/ ASC Scholarship in 2014. I believe that for a rural agricultural region to survive it needs a supportive, cohesive community – and I love to get involved! I work with groups such as the Moree Show Society, Leeton Show Society, NSW Farmers, ASC Youth group, ASC Group 14 Ambassador, and the Young NSW Farmers group. I love that show events bring the whole community together to experience all of the rural and agricultural aspects of the area. Getting amongst the hive of activity not only keep me up to date with what is happening in the agricultural industry at a regional basis, but also at a legislative and national basis. My love of the land came from my grandfather. Some of my best childhood moments was the time spent following him around the farm and learning as I went. He had a mixed farming enterprise, so my parents and I helped with jobs such as lamb and calf marking, shearing, tractor driving and harvest. Over the years the farm changed to focus more on grain growing. My grandfather taught me that you can only take out what you put in; which is a good motto not just for agriculture but for life in general and I have followed it throughout my life. Looking after a poddy lamb named Claire after it lost its mother. 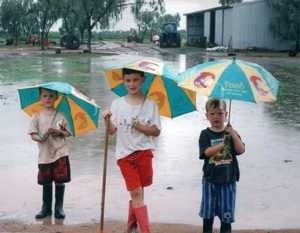 At school in Moree I was the type of kid that enjoyed getting involved with everything. I was sporting house captain in year 11 and a school leader in year 12. I was active in a range of sports from horses to soccer, and was lucky enough to compete at state level in Sydney for athletics. I also loved learning to play classical violin for five years, and won a few awards along the way. When it was time to think about university degrees my interest in agriculture lead me to a Bachelor of Environmental Science at University of New England. I lived at St Albert’s College where made many friends and was introduced to several sporting, academic, and cultural groups. I was highly active in the college’s netball and chugby (women’s rugby) teams and also held the position of pastoral advisor (PA) where I supported my fellow students in any way possible and helped organise events. On the far right of the top row, after we played our first game of chugby in 2013. My Environmental Science degree has given me a deeper insight into the need for a partnership between the needs of the native landscape and productive landscape and instilled the importance of preserving the productive farmland that we are lucky enough to have in Australia. Agriculture is a constantly evolving industry and there is an important place for leaders who are up to date with the latest technologies and techniques to give the best protection against our unpredictable seasons while also enhancing competitiveness on the world market. The cotton industry in particular is at the forefront of innovation, and so I took my first steps to become involved. During my first two summer breaks at university, I worked for a local agronomist as a cotton crop scout. When I first applied for the position I considered it purely a learning experience. But the more I learned, the more I enjoyed myself. I found the cotton industry fascinating! Now I’m striving to become an agronomist. In just a few years I have worked with many great people who were as enthusiastic about the industry as I now am too. Last year I toured one of the local cotton gins where we were shown all of the aspects of the ginning process. 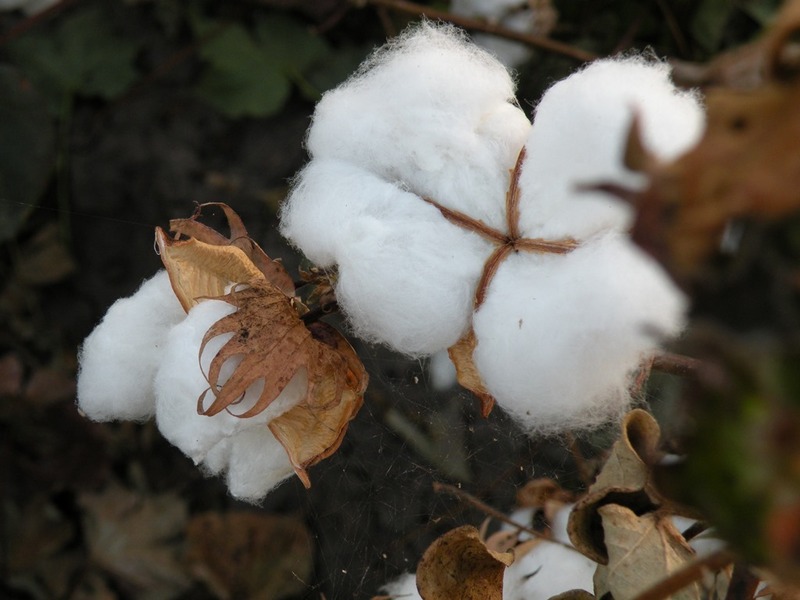 I also completed two subjects directly related to cotton and its management. 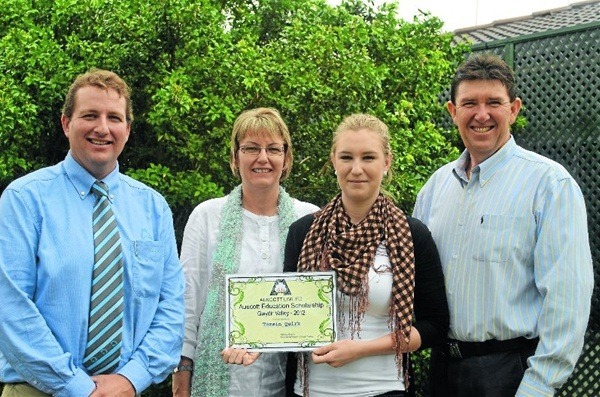 My dedication to regional communities and agriculture was last year rewarded with the 2014 Coca-Cola/ ASC Scholarship for my work in agriculture and my local show society, as well being appointed as an ambassador for the Agricultural Societies Council (ASC) group 14. Checking some of the first open bolls for the 2014/2015 season. This year my career has taken off. 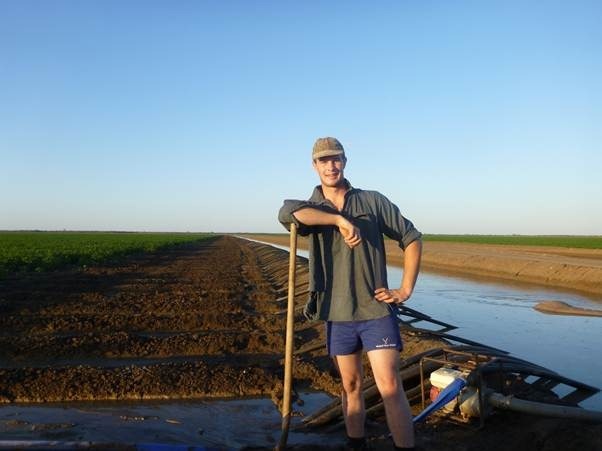 When I finished my degree in late 2014 there was a drought around Moree so I had to move to southern NSW, almost 800km away to a town I had never been to, to start my career. 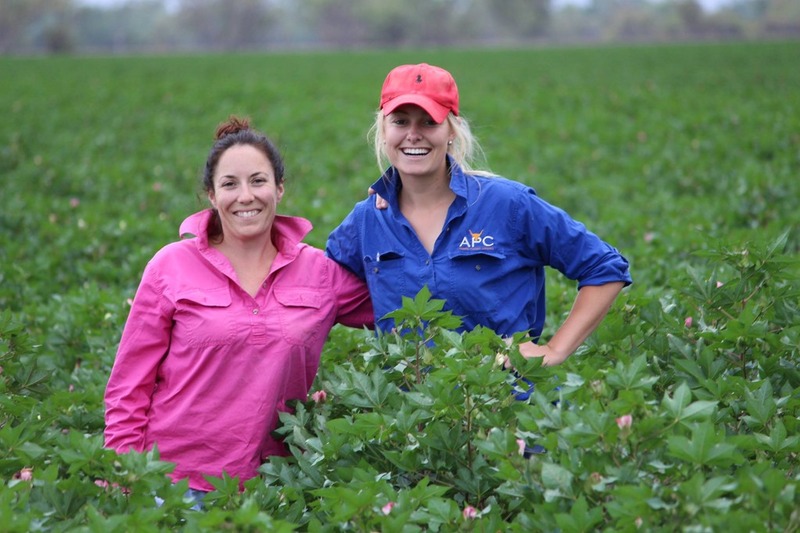 In January 2015 I began working with the Department of Primary Industries (DPI) at Yanco in the Murrumbidgee Irrigation Area doing research into integrated pest management in cotton. Cotton is a relatively new crop for this region, so I am at the forefront of its progression and success. I am a technical officer, collecting field data, managing and organising others in the field, consulting with growers, and assisting in the creation of trials and data collection methods of those trials. To most people involved in agriculture it is not just an industry, but a lifestyle that travels down the generations. 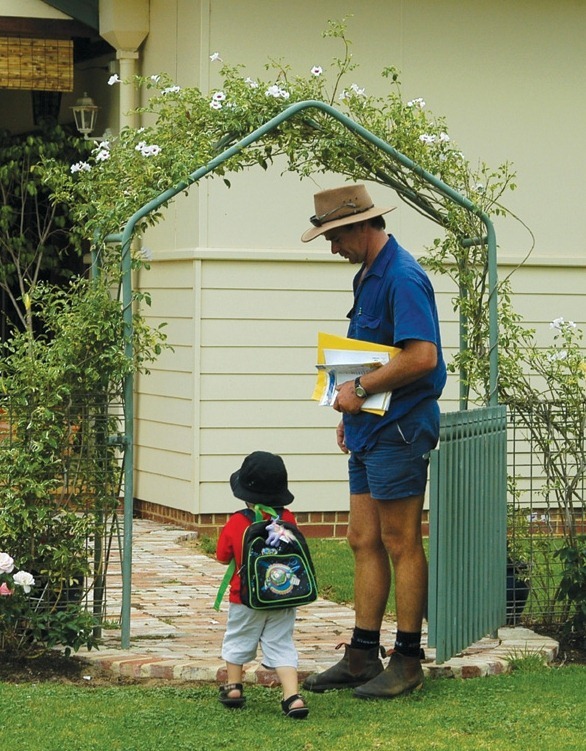 According to the National Farmers Federation, 99% of all Australian farms are family owned. Agriculture influences every person in the world even if they are purely a consumer. With a fast growing population and unpredictable climate, I believe we must protect farms for future generations, and it must be done sustainably and profitably. I would also like to help change the stereotypical image of the average Aussie farmer. Agriculture is a great industry for young people and women. There are so many fantastic things to attract young people and as an industry we need to make sure we are looking after our youth, helping them survive and flourish so the industry can too. Agriculture provides 1.6 million jobs to the Australian economy, but there is still miscommunication between farmers and consumers. I believe we need more communication to build support from the community and it is vital our farmers are supported in every sector. People involved in Australian agriculture put everything into it and I want to make sure that they can always get out what they put in. 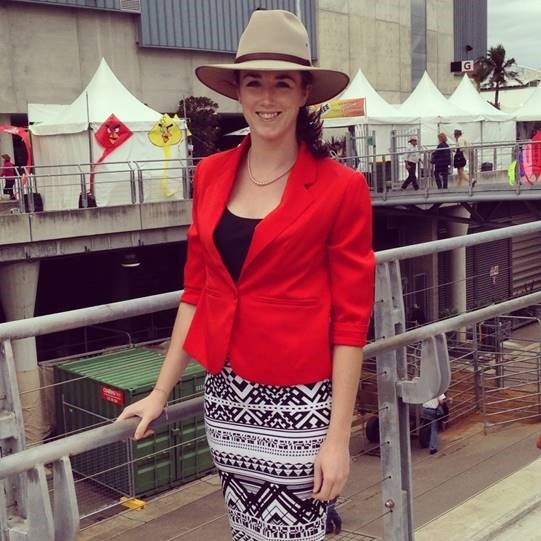 There are so many young agriculturalists in Australia trying to make their voice heard, as I am. I want to be involved in advocacy for the cotton industry, particularly through engaging with consumers of Aussie cotton. I believe the industry can reach its goals. The more people who get involved and strive to enhance their skills, the more our confidence and enthusiasm for the cotton industry will become contagious. We will get out what we put in. 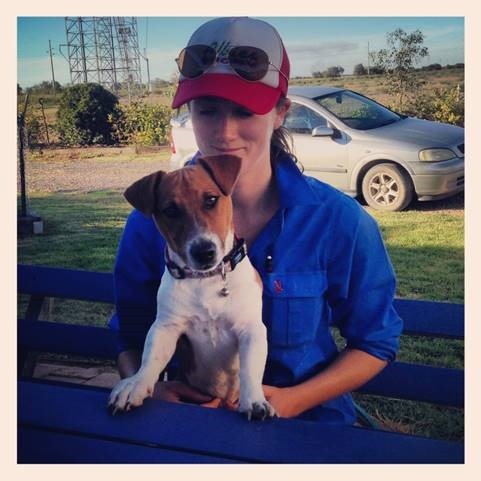 Today the Art4agriculture team is delighted to introduce you to Andrea Crothers whose friends describe her as incredibly driven, cheeky and willing to talk to just about anyone. 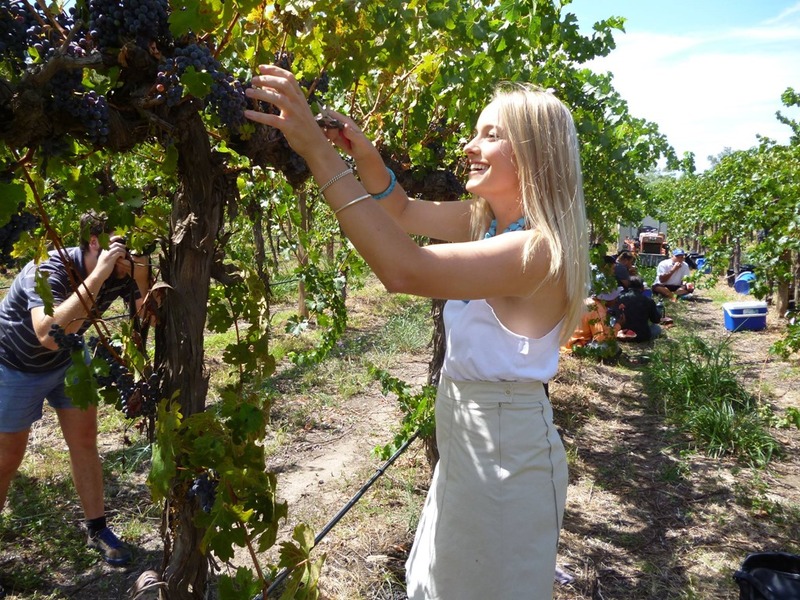 This is Andrea’s story ……………………………………..
As a journalist for one of Queensland’s leading agricultural news outlets, I thrive on telling other people’s stories. So when faced with the daunting task of sharing my own, I thought I’d better turn to my own friends to give me some descriptors. The words competitive, tenacious and occasionally blonde (not all together thankfully) also ranked highly. 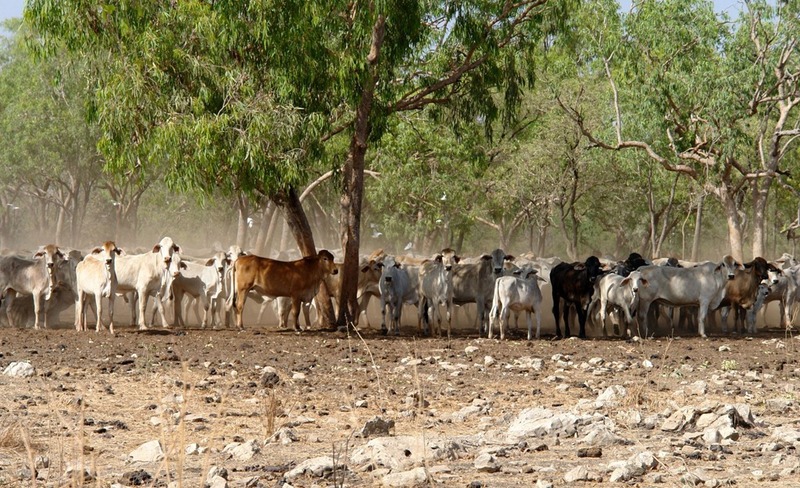 Based in Brisbane, I enjoy the best of both worlds as I frequently hit the beaten track to share some of rural Queensland’s cracking yarns for a living. So how does a dandy lass from Dirranbandi end up here? Well, nature and nurture both played a part. I was five years old when I made my first big life decision. My father was planting one of his first ever cotton crops on our family owned and operated property, “Booligar”, 44km south-west of Dirranbandi. Unaware he was sowing the seeds for a family love affair with cropping’s white gold, he happily allowed his three young children – my two older sisters and I – to ride alongside him in the tractor cab. Typically, it was a small and confined cab – one that usually only has room for the operator in centre position, a small and patient passenger to their left, a lunch box and water bottle by their feet, and a mixture of clunky tools and oily rags thrown into the limited space behind the seat. 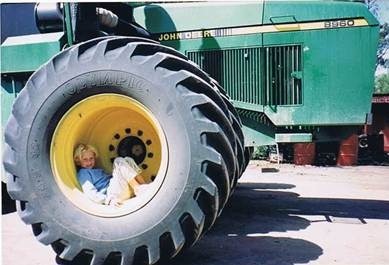 So wedged behind the tractor’s driver’s seat, I lay head-to-toe next to my eldest sister, Caitlin, cramped up against the back window with Dad’s tools. Meanwhile, our other sister, Lauren (my twin) was proudly perched on the passenger seat beside our father. There and then I decided if I was going to be doing laps in that tractor all day, I wanted to upgrade to prime position where I could be amid all of the action. That’s something that has carried through my entire life. 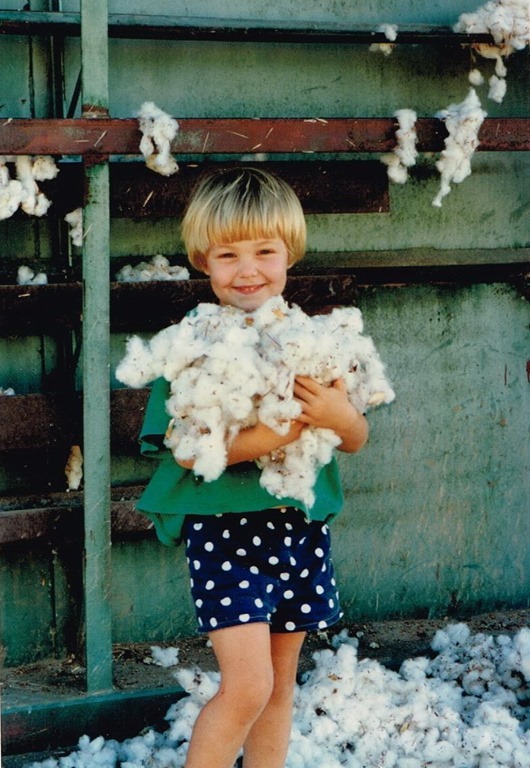 Virtually raised in the back of a tractor, I developed an early love for cotton. It was the 1990s. My parents, Douglas and Lorraine Crothers, in partnership with Dad’s brother and his wife, had recently completed purchasing the family property only to be thrashed with one of Queensland’s worst droughts on record. The original block was purchased by two brothers, Henry and Thomas Crothers, in 1864. Backed by three generations of Crothers brothers, mothers and others, Dad always said how special it was to live and work the very same land our ancestors had for what is now 151 years. It’s in his hands and in his blood – Dad’s the fourth generation to live and work on “Booligar”. The 11,253 hectare (27,800 acre) property had always been a sheep and cattle station, with diversification into cropping coming later. It was with the harsh drought of the 1990s, followed by a humdinger of a flood in 1996, that pushed the family to fully explore intensive row cropping to ensure Booligar’s financial sustainability. 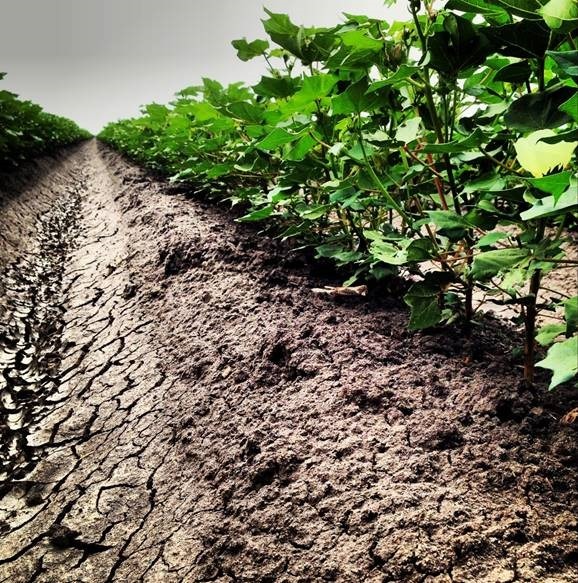 They planted their first cotton crop, irrigated, late in 1996 when I was only three years old. 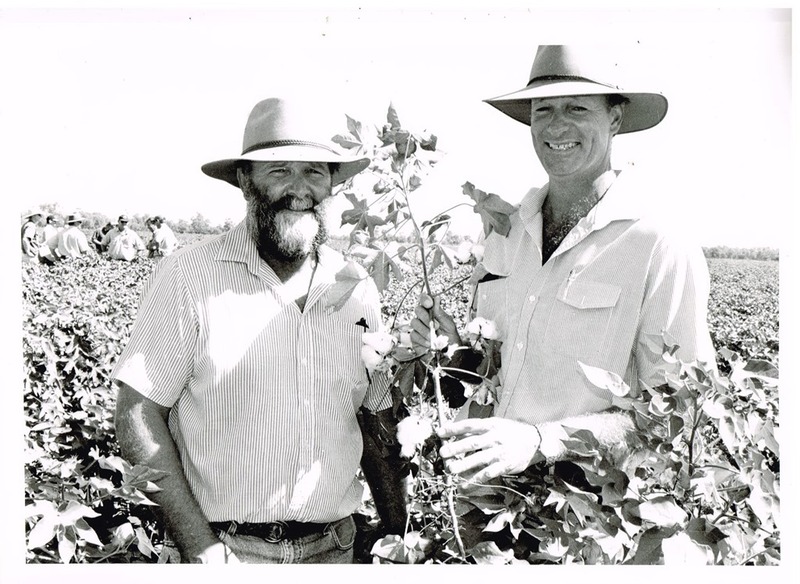 1997: Donald and Douglas Crothers (Dad) with their first cotton crop. Photo: Queensland Country Life. Like most farm kids, we pumped poly pipes to irrigate the crop as early as our little hands could fit over the mouth of the siphon (my competitive streak proved handy in racing my sisters to complete a water shift). With my cousins, we’d wake early to walk up and down furrows, chipping weeds out of the cotton fields in the cool of the morning. There was also the dreaded stick picking – walking up and down bare developed paddocks to clear remaining timber that would affect machinery and equipment working the field. These tasks, though arduous at times, were always made worth it when we saw the crop progress. In March, the familiar white specs of cotton would creep across the green glow of fully grown crops. Bolls of fluffy white gold burst open until the entire crop was a field of glorious white. And every year, when we jumped in the cotton picker with the contractors, grasped a big bundle of cotton spilt on the module pad or reviewed the ginned product with Dad; we shared a sense of pride in producing something magnificent from the land on which we lived. 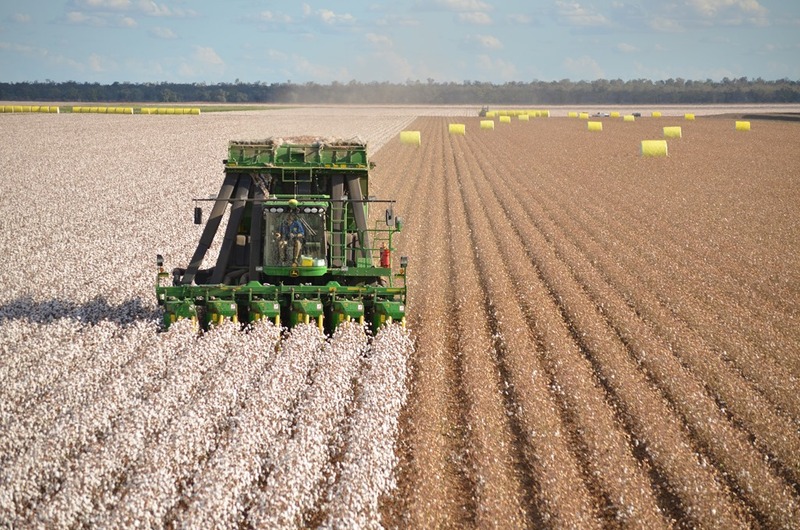 Cotton is Queensland’s fourth highest-value cropping commodity, but the most rewarding by far at “Booligar”. Cotton picking at St George and Dirranbandi occurs March-April. The introduction of round module pickers (pictured)in the last few years have greatly improved efficiency and safety. ABC radio playing in the background, politics frequenting dinner conversations, and the Queensland Country Life newspaper received in the mail were all symbols of my childhood that have driven my thirst for rural news. My burning desire to find out ‘why’, and how issues affect those on all sides of the story, drove my parents crazy throughout my childhood. Being sent away to boarding school on the Gold Coast – the complete opposite of my one-teacher primary school at Hebel – was a fantastic opportunity to gain greater understanding of urban Australia. It also helped me unconsciously create contacts to open the dialogue of communication between the regions. One might say the beach is hard to turn your back on, but studying near the ocean has only made me appreciate the country even more. This was particularly realised when I returned to Dirranbandi for a working gap year in 2011. 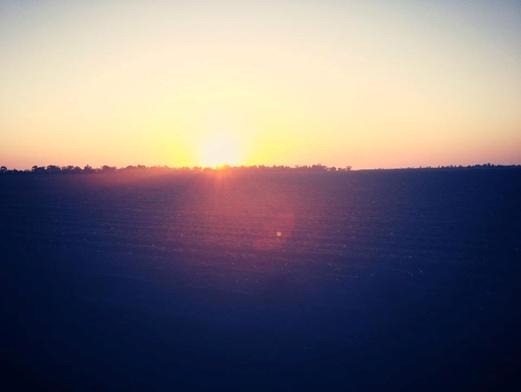 Stepping off the family farm and into a corporate farming operation just up the road, I took the opportunity to work on Australia’s largest cotton producing property, Cubbie Station. I was the only female in my team, but that didn’t stop me from getting in and having a go. The region is recognised for producing some of the best quality fibre in the world. What stuck is that it takes an entire community to earn that badge. A few years later I was able to combine two loves – cotton and journalism. Returning to the region on university holidays, I did a bug checking season under a local agronomist. 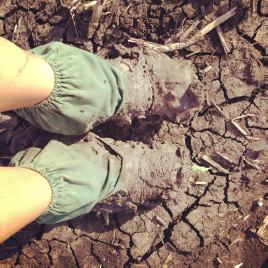 We’d start at 4.30am, trudging through muddy cotton crops all day to collect field data. 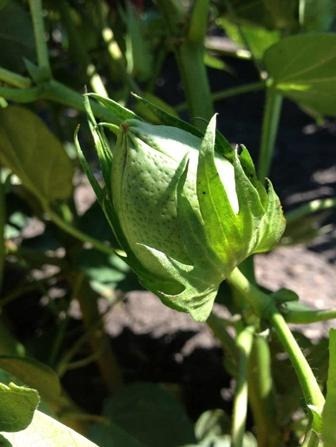 Bug checking cotton during its growth involves extensive data collection from which an agronomist will consult a grower on crop care. Any spare moment I had I was in the office of the local newspaper, where I focussed on using my local knowledge to bring more agricultural stories through. Reliving my grape harvest days while covering a story for the local paper. 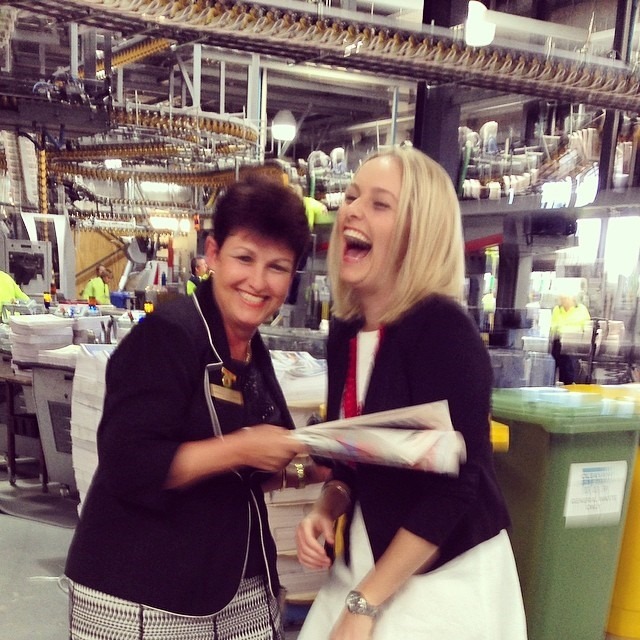 It was one of many internships I eagerly completed over 10 months – including WIN News Sunshine Coast, WIN News Toowoomba, and Queensland Country Life – before being offered an interview with my current workplace. 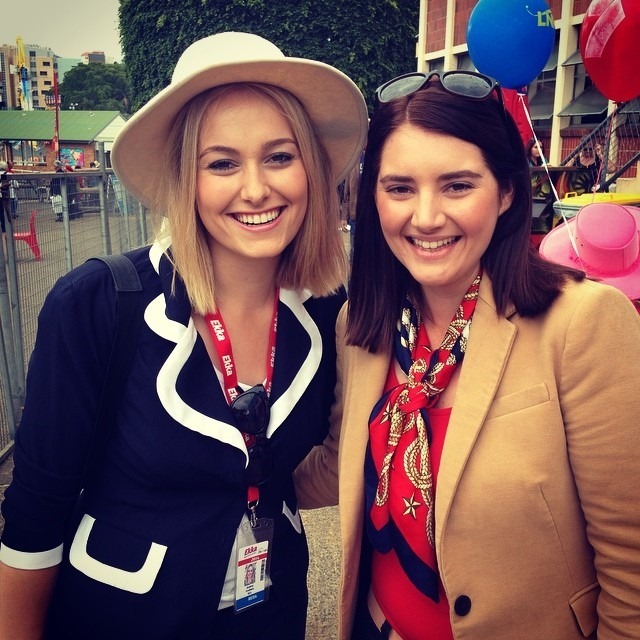 Catching up with good friend and WIN News Toowoomba Chief-of-Staff Caitlin Holding at the Brisbane Royal Show in 2014 – one year after she’d encouraged me to pursue a career as a rural reporter. And now I couldn’t be happier! 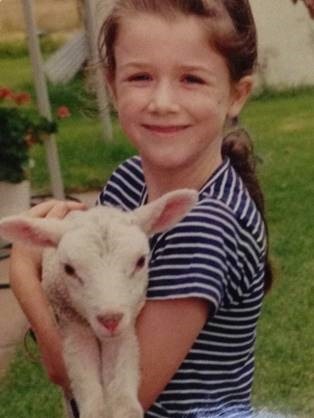 Working as a rural reporter has further ignited my passion for agriculture and rural Australia. It has granted me a position to interact with all areas of the industry. What I have learnt so far is driving my ambition to make rural news a greater part of mainstream media. I’m very fortunate my work takes me across the state to shine a light on agricultural stories. 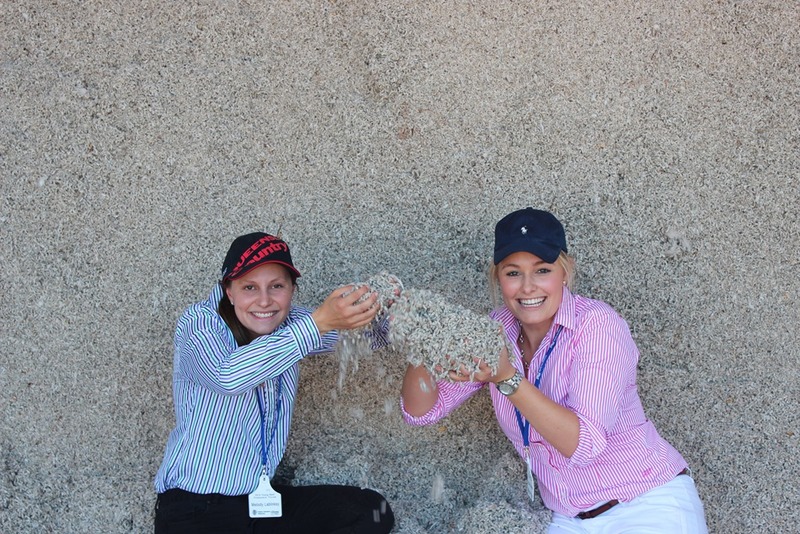 Pictured here with a colleague in cotton seed at a feedlot near Roma. It’s clear family farming has been important in shaping Australia’s agricultural landscape. 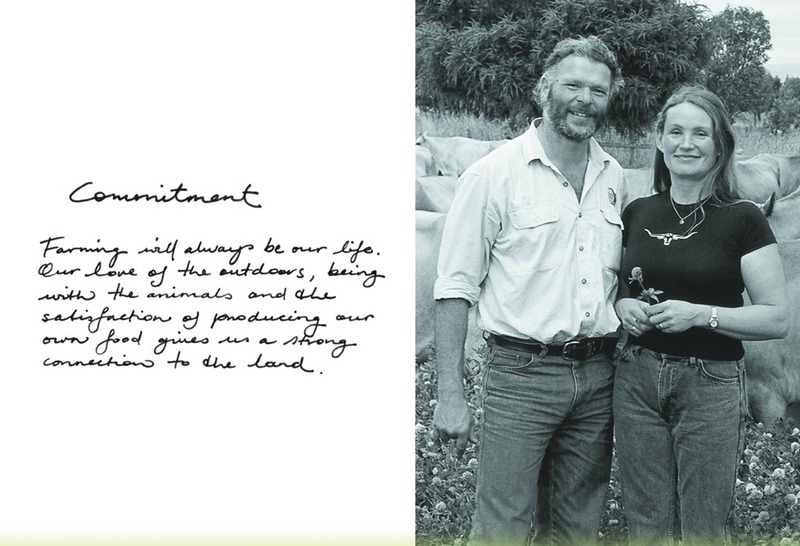 But just as the Crothers family have adapted their lifestyle to ensure our property’s sustainability and continued business growth, so is the need to adapt the way agricultural stories are told. There is a thirst for rural affairs news in metropolitan areas – there’s no denying that. But the content needs to be digestible. Our goal as rural reporters hoping to penetrate mainstream media is to package agricultural news stories in different ways, for different audiences. That doesn’t mean becoming public relations tools for agriculture. Rather, it means finding those great stories within the agricultural industries and sharing them. You only need to look at cotton to see there’s an abundance of content: adoption of biotechnology, pest management practices, global market competition from synthetic fibres, demand for increased water efficiency, succession planning and the role of foreign investment in agriculture. It’s about telling the story in the right way, for the right audience. Because after all – don’t we all love a good yarn? Ben Egan says this is my future. Come be a part of it! 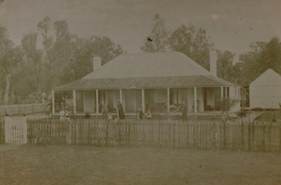 Its over 170 years since my ancestor Bryan Egan came to the Macquarie valley in search of good grazing country to lay claim to land so he could start and grow his own small cattle herd. In 1839, he came to Mount Harris and it was here he stayed. 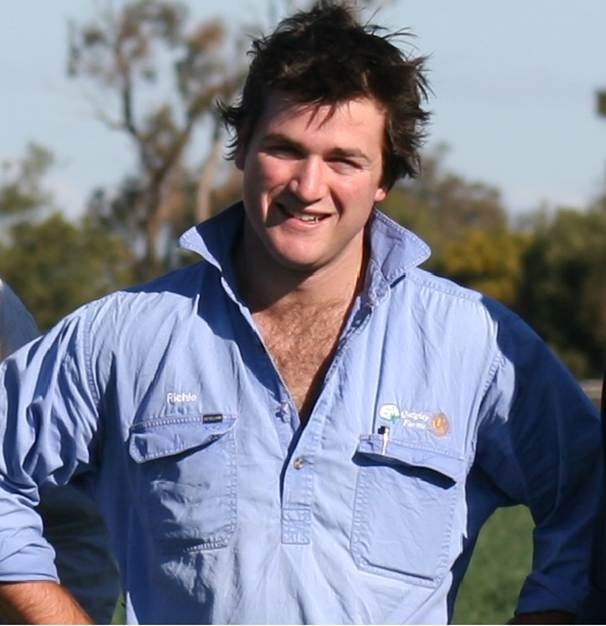 My name is Ben Egan and I am lucky enough to be a 6th generation farmer. Needless to say, farming is in my blood. It’s my passion, my job, It’s my life! Located in the Macquarie Valley, north of Warren in the central west of NSW is our family farm, “Kiameron”. A lot has changed since 1839, but the history, values and commitment to the land is still strong. Even today we still live in the same house our ancestors built in the late 1870’s. Today ‘Kiameron’ covers 6,000 hectares (15,000 acres), including 1100ha of irrigation, 1100ha of dry land and 3800ha of grazing country. Our main enterprise is cotton but we also grow other crops such as sorghum, wheat, canola, chick peas and as tradition would have it we still graze around 700 head of cattle. 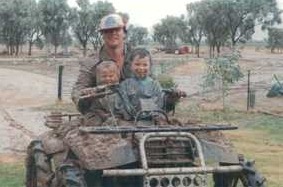 From an early age I loved to explore the outdoors, running around making bow n arrows, riding motorbikes and driving around the farm with dad. Right from the word go, the love of farm was there and I wasn’t afraid to show it. Standing next to dad when I was about 10, at a local swimming carnival, I looked around and said; “you know, I think I’ve got my life pretty well sorted, I think I’ll leave school, do a bit of swimming, then come back and kick you out!”. And a succession plan was born. 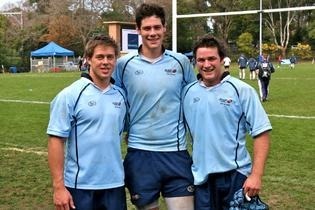 I was lucky enough to go to boarding school in Sydney. I was astonished at how little some of the city boys knew about life on a farm and living in the country. I was confronted one lunch time by a day student who asked me “so, do you have TV out in the bush?”, “TV? What’s that?” I replied laughing. I began to explain to him about life on the farm and what really happens beyond the farm gate. This then led to many of my city friends wanting to come out to the farm in the holidays to chase feral animals, ride motorbikes and go to the ever popular Marthaguy picinic races. During my lifetime I have had some life changing experiences and reminders of how lucky we are in this country. In year 11 I had the opportunity to travel to Cambodia to help build houses for rural communities. This was a wonderful experience and a huge eye opener to the culture and way of life in a country which had been torn apart by communism and war. After completing my HSC, I was awarded a GAP placement at a school in England. This was a chance for me to travel and explore what the world had to offer. My 12 months abroad working at Stonyhurst College saw me interact with students with all different backgrounds. However it was becoming a bit of an on-going recurrence to find students (even in a different country) had little knowledge of farming or where their food and fibre comes from. They were astonished when I told them that I was a farmer and after talking to them for a while they began to realise how important farmers are and started being a little more appreciative of the people who put food on our plates and clothes on our back. After a year of being away from agriculture, I desperately needed to get my hands dirty. 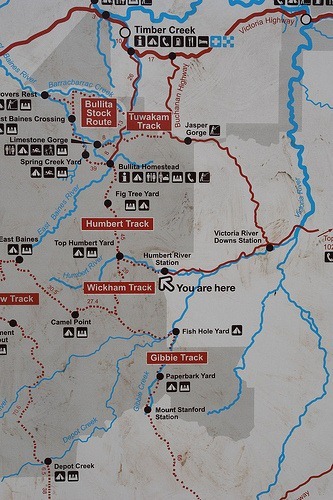 Going to the Territory had always been on the ‘to do’ list and it was now time to don the akubra, dust off the boots and get in the saddle. 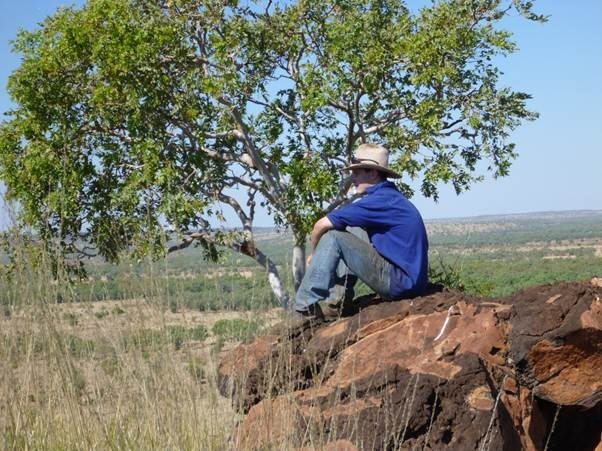 Working at Eva Downs and Camfield station in the NT was an unbelievable experience. It was here that I learnt the value of a dollar, meaning of an honest days work, and the beauty this country can produce. I have now spent the last four years furthering my education at university and have now gained a Bachelor of Business majoring in Farm Management at Marcus Oldham College in Geelong. Farm tours were a usual part of the curriculum at Marcus. A chance for us to visit farms, analyse their business and learn about their management strategies and tactics. A tour to the Riverina saw us visit a few cotton farms, much to my delight as it has always been a passion of mine and an enterprise I could relate to. In the third year of my degree, our class travelled to China to explore the agribusiness sector on an international scale, leaning about the customs and relations with one of Australia’s biggest trading partners. Today, I am working full time on the family farm, applying my knowledge learnt in the classroom into the real world and it is very exciting. We have recently finished picking the 600ha of cotton as well as 300ha of sorghum with good yields. Although harvest is only just finished, I am already getting excited about next years crop and the influence I will have. 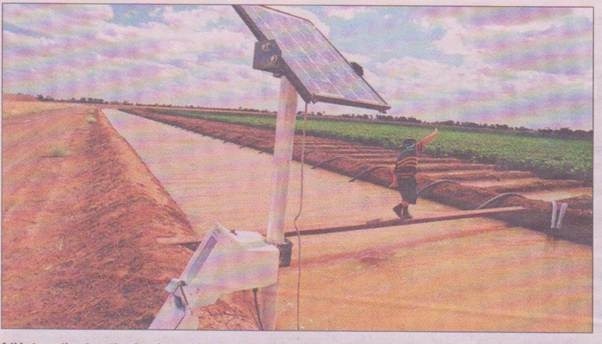 I am currently implementing a transition from flood furrow irrigation methods to lateral move and bank-less channel irrigation to help improve water use efficiencies. I feel that there is a great need for the young farmers out there to get out and have a voice, to communicate with people and let them know about the good things our farmers do and how vital they are to the community and the economy. Communicating and raising awareness and the challenges and constraints of farming with young people and the many different career paths it offers is a vital part helping to drive change for the agriculture sector in the way we do business with everyone along the supply change. Its with great pride and excitement to see the number of these programs like the Art4Agriculture Young Farming Champions that are available to grow skills and knowledge for young people in agriculture . I It concerns me that the average age of farmers today is 52 years old. It scares me that the only options we seem to have is that farms are lucky enough to be handed down to the next generation or sold to large corporate entities and overseas investors who have the capital and borrowing capacity to purchase large parcels of prime agricultural land. Where are all the young farmers? We’re here, we just need to be heard and be given a chance. I personally would like to see more programs that support and help young farmers buy into farming and enable them to pursue their passion. But agriculture doesn’t just entail farms. There are endless career opportunities within the agricultural sector with great programs to help people get involved and support our industry. I challenge the young people of today to put their hand up and be heard, ask questions, challenge the status quo, support our farmers and just have a go! This is our future. Come be a part of it! 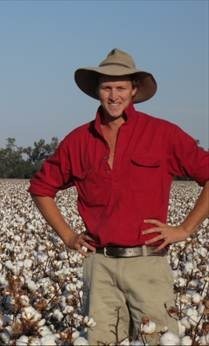 Author Picture You in AgriculturePosted on April 9, 2013 November 11, 2016 Categories cotton, Guest post, Leadership, Young Farming ChampionsTags Ben Egan, cotton, Gap YearLeave a comment on Ben Egan says this is my future. Come be a part of it! Agriculture…is like an onion…it has lots of layers! Hi, my name is Liz Lobsey and I am 26 years old. I’m an agronomist by day, and a closet agriculture advocate, also commonly referred to as an agvocate the rest of the time. I am a firm believer in the agriculture industry and it is not only my occupation, but it is also my passion. Now, I’d like you to think about this. What is the first thing that comes to mind when you think about agriculture? It wasn’t always this way When I first started high school and found out I had to do agriculture in year 7 the first thing I wanted to do was run away and hide. This was because my perception of what agriculture actually is was completely wrong. I thought of agriculture as dirty and, to be honest, boring; not something I was really looking forward to having to do. However, when I actually started learning about what it involved, my passion for agriculture surfaced and I have never looked back. I’m not from your typical farming family, in fact, you could probably refer to me as a townie. My family connection to the land is minimal. But my passion for the industry is enormous! I have pottered about, I have studied a different degree, I even sat in an office for a good 3 years, and it was then that I realised that agriculture was where I wanted to be. So, I went back to uni and started studying agronomy. Some might think that I am a glutton for punishment after completing 6 years of university going on to my 7th, which tends to be a running joke with my friends. But when asked why I wanted to study agronomy, by one of my friends, my response was thus. How many jobs are there, where you can sit on the front veranda of your clients’ home, have a beer and talk about the day while watching the sunset? 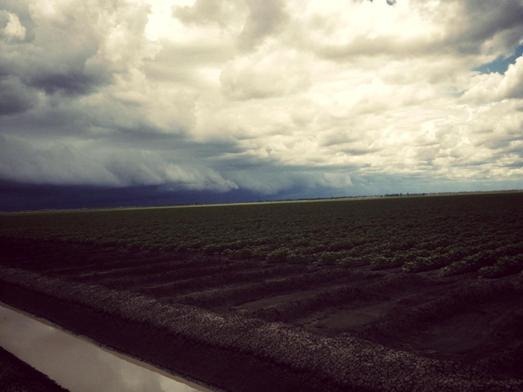 Do you get the chance to watch a storm roll in over the flat black soil plains at your job? Do you have laugh while you’re helping a grower pull out that silly agronomist who got the tractor bogged? (Yes, I am talking about myself). Does your job give you the opportunity to actually have relationships with your clients where they become surrogate families? How many jobs do you know of where you have the chance to be constantly learning new things? How many jobs do you know of that are involved with an industry that is one of the most sustainable, innovative and productive in the world? A lot of people will associate agriculture with long hours, hot dusty days, and a lot of hard work. And I will openly admit, it is a lot of hard work, and it can be dirty and dusty, on the other spectrum even muddy at times. But it is all part and parcel of the experience and I wouldn’t change a thing for the world. I am involved in the cotton and grains industries and the growers I work with are some of the most innovative and passionate people I have ever met and most likely ever will know. Both of these industries are constantly looking for new ways to be sustainable while remaining productive. It is inspiring to me to be involved in industries where the industries themselves are making the active effort to be better at what they do and making a conscious effort to implement change and be on the front foot to avoid outside influences impacting on what they do and can achieve. Earlier I mentioned when I think of agriculture, I think of passion and I strongly believe no matter what you are doing with you, life has little meaning unless you have passion for what you do. Sadly I also believe that agriculture is a misunderstood industry; it is so much more than what you see on the surface. I was recently at a committee meeting where our vice-chairperson was describing her role as a farmer’s wife: she did the books, looked after the kids, fed the workers, drove the tractors and the list goes on. There is so much more involved with working on a farm or within the industry than what appears on the surface. While agronomy is my primary job I also do business analysis and management; sometimes I am even a farmhand. My boss constantly says to me that while we are agronomists and think we are mainly working with soils and plants, its the people who make change so we also have to be psychologists and know what drives change. Within agriculture you are so much more then what your title defines you .As an agronomist on a daily basis I assist growers make decisions about how to nurture their crops and produce the best yields possible while keeping production costs low, keeping the levels of chemicals used to a minimum and being friendly to the environment. On a daily basis I learn something new, I change the way I thought about a process and I help implement these new processes into the production systems that I work within. The interesting part of this is that one idea, is never implemented in the same way, that one idea can result in 6 or 7 different production processes dependent on how that grower runs their farm. While all farming may look the same from the outside, their a subtle differences on each farm that make it operate in the productive way that it does. produces enough food to feed 60 million people. produces 93% of the food we consume. 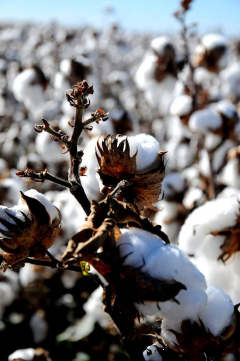 produces enough cotton to clothe 500 million people. one 227kg of bale of cotton is enough to produce 215 pairs of jeans and 1,200 shirts. Australian agriculture produces some of the highest quality food and fibre on the world market, and does so with a decreasing amount of land and water. Agriculture is an essential part of the economy, but I also think agriculture is an important part of our society’s way of life. 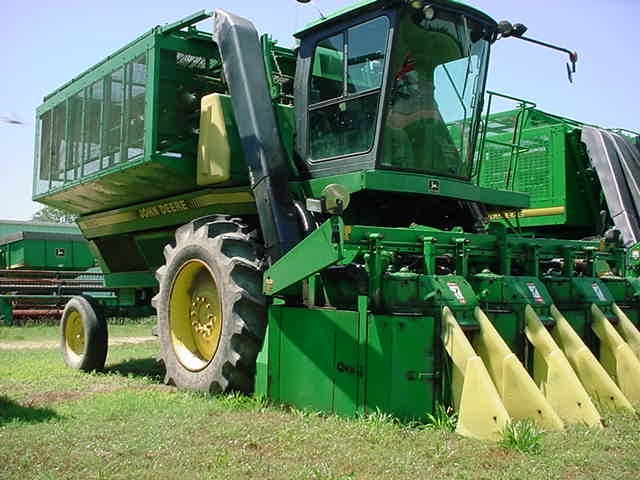 We are blessed to have the agriculture industry with all it offers and it is time for a revival of sorts. It is time for everyone who has the potential to get involved with agriculture in some way to peel back the layers of what agriculture is and take a serious look. It is not just a career choice; it is a lifestyle choice as it offers a wonderful way of life. The passion of the people in this industry is infectious and the resilience of the people in this industry its own life lesson. I’ve only been in the industry for a couple years now and the way I look at life has changed dramatically. So, when you think about the word agriculture, have a real think about it and tell me what comes into your mind? Author Picture You in AgriculturePosted on February 25, 2013 February 24, 2013 Categories Careers, Guest post, LeadershipTags agronomist, cotton, grains, innovation, Precision ag7 Comments on Agriculture…is like an onion…it has lots of layers! 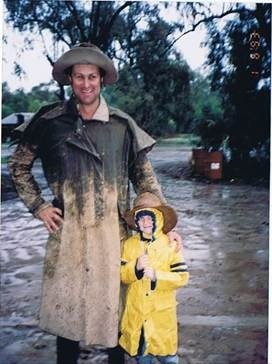 Growing up on our family farm in Trangie, the Macquarie valley, Central Western NSW I have been involved in agriculture as long as I remember. We are lucky enough to have both an irrigation and dryland farming business and grow 500 Ha of cotton as well as about 2200ha of winter crops which include wheat, canola, and chickpeas. We also have 1500 breeding ewes and 150 breeding cows. 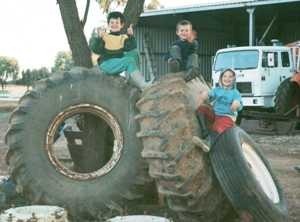 Most of our childhood photos are of my two brothers and me outside playing in the dirt and the mud pushing around toy tractors (more often than not with no clothes on), maintaining our miniature interpretation of our family farm in our veggie patch. The fence still bears the scars from when we cut it as we ‘bought’ more land (much to mums delight). As we grew older, our passion for farming grew when we were able to move from our “Tonka” farm to outside the fence with dad. 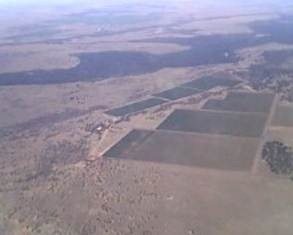 A typical busy week on the farm can include spraying to keep fallow paddocks weed free, sowing crops, spraying for weeds in the crop with selective herbicides, spreading fertiliser, harvesting, ground preparation for cotton, irrigating cotton, planning crop rotations, animal husbandry, and general farm maintenance and mechanics. All of us had the opportunity to go away to boarding school. This opened the doors to so many opportunities and experiences (considering the local school had about 6 students in each year), but was often seen as an inconvenience as holidays and harvest never seemed to line up completely! 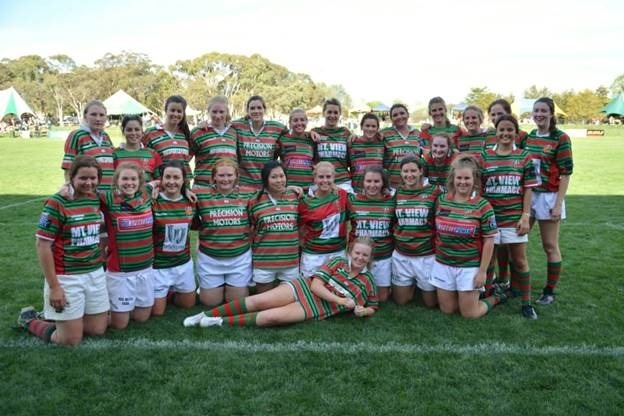 A highlight of my school life happened in my final year when I was lucky enough to be selected and represent Australia in the “Australia A” Schools Rugby Union. This was an amazing opportunity that I am confident may not happened if I didn’t have the chance to attend boarding school. After finishing school, I had a gap year working at home before heading to university. I made this choice to gain strong foundation hands on experience that would allow me to relate my future studies back to practices and principles that are currently used or could possibly be used on our own farm. My gap year reinforced that my future lay with farming and how much agriculture has to offer and working outside is so much better than a class room or an office. There are so many career options available, and so many job opportunities. 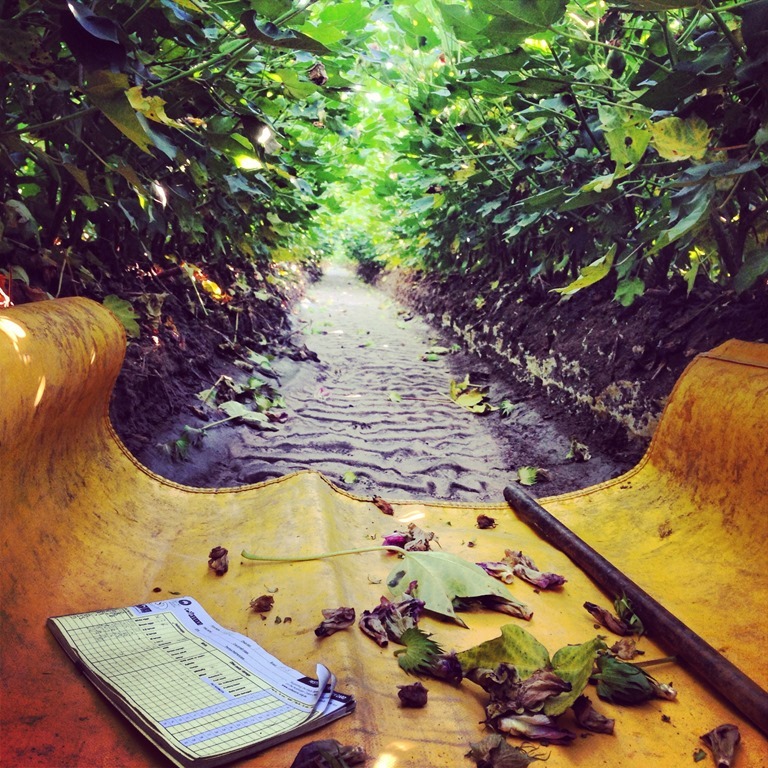 I am currently studying Science in agriculture and will major in agronomy – which the link between scientific research and primary producers, and am very much interested in the production side of agriculture. I want to grow it. To assist with my university studies and access a diverse array of opportunities I applied for and was lucky enough to win a Horizon Scholarship. My sponsor is Woolworths, and as part of the program the students spend two weeks of industry placement with their sponsor. My placement saw me spending two weeks in Woolworths head office, working with the fresh food department. It was an eye opening experience to see what happens to our produce after it leaves the farmgate and the sheer volume of food that is distributed by one of our major supermarkets as well as their commitment to quality. The Year of the Farmer purpose is to celebrate all those who contribute – and have contributed – to our rich rural history. 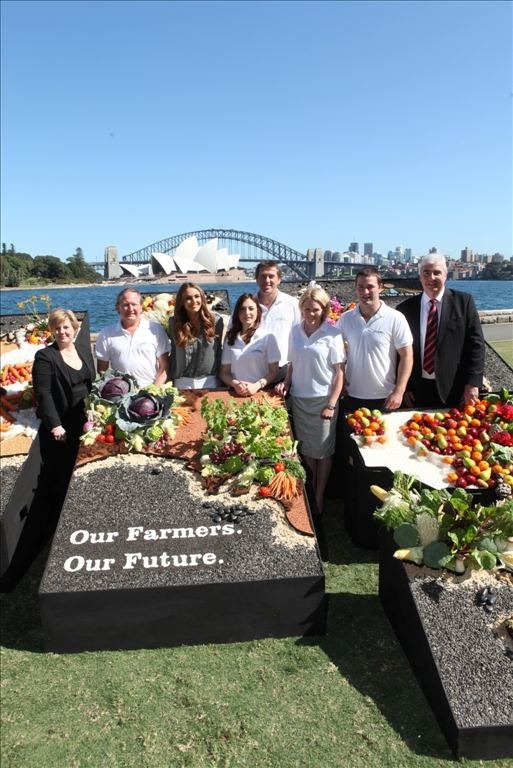 In doing so, it will introduce Australians to the farmer of today, and smash a few stereotypes in the process. In the world of the 21st century farmer, we find people who are environmentally-aware, innovative, tertiary-educated, global, entrepreneurial and collegiate. Primary producers today are a different breed to their parents and grandparents. The love of the land is still deeply ingrained, but to make money – and they must be profitable to survive – they have become masters of numerous skills, and technologically adept. They understand land and water management, laser levelling, remote sensing, GPS management, conservation agriculture, organics, biodynamics and, overall, their role in national and global food security. Perhaps these are new labels for traditional concepts, but today’s farmers employ cutting edge technology that would baffle office workers in the cities. 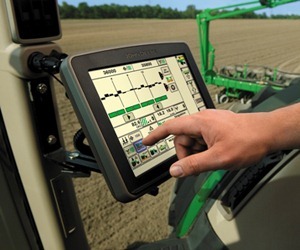 Technology is powering Australia’s farming future. I encourage all Australians to join in the celebrations next year; to take the opportunity to leave the cities, and learn how our farmers underpin our economy. They are leaders, and we can learn much from that leadership. The Year of the Farmer is a wonderful opportunity for all Australians to better understand, and value, the part farmers play in our health and well-being and prosperity. Each and every day. We simply couldn’t live without them! Another highlight of my Horizon Scholarship has been the recent opportunity to attend the 16th Australian Cotton Conference thanks to the generosity of Cotton Australia. The conference was a great opportunity to meet a large number of people in the cotton industry and hear a number of presentations from leaders in the industry on current issues and new innovative ideas for the future of the industry. Agriculture is an easy choice for me, as it is a lifestyle as well as a job. It’s the feeling of having an office outside, and every day working with natural elements to produce food and fibre, feeding and clothing the people all around the world. I challenge you to have a look at a career in agriculture, as the people anywhere in the agricultural industry will give you a go if they can see you’re interested in learning. It’s dynamic industry that is constantly evolving and changing trying to continue to feed and clothe the growing hungry world.